What is Airdrop and how do you use it? 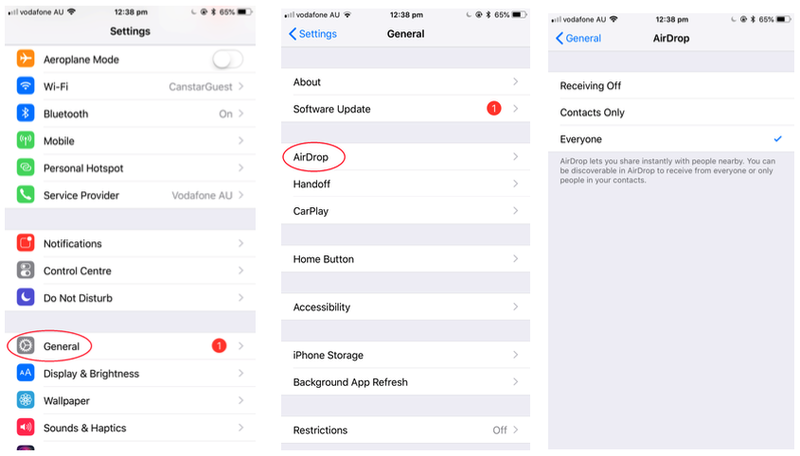 To put it as simply as we can, Airdrop is a service in Apple Inc.’s operating services, which allows you to transfer files across supported Macintosh computers, iPads and iPhones over Wi-Fi and Bluetooth Low Energy (BLE) almost instantly. There is no email, no mass storage devices and no cost. According to iMore, the Airdrop service uses BLE to broadcast, discover and negotiate connections with nearby Apple devices, and then uses point-to-point Wi-Fi to transfer the data – that’s anything from photos, videos, contacts, notes, documents, Passbook passes, mail attachments, Web URLs, map locations, and voice memos. Basically, this kind of Airdrop has become the new normal – and why wouldn’t it? Airdrop is one of the most effective ways to share instantly, something this new world controlled by technology has all become obsessed with doing. How do I use Airdrop? Many people are confused by Airdrop, and don’t worry, we don’t blame you! But whilst the concept sounds a little confusing, accessing and using Airdrop is a lot easier than you might think. For Airdrop to work, both you and the person you are sending files to need to be nearby each other. 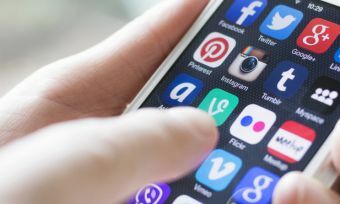 You both need to have Bluetooth and Wi-Fi turned on, but don’t necessarily need to be connected to any Wi-Fi (an advantage of point-to-point Wi-Fi!). You both do, however, need to turn off any cellular data in order for Airdrop to work. You both need to activate the same receiving setting inn your Airdrop settings on your device (see more on this below). How do I activate Airdrop? To send and receive files, you need to be discoverable on Airdrop. This can be accessed on your phone by opening the ‘Settings’ app, then proceeding to click ‘General’ -> ‘Airdrop’. You can also access these settings via a shortcut in the newest control centre on iPhone’s 7 and 8 (see YouTube video below for more detail). Receiving off – You will not be able to send or receive any files. It is best to have this setting activated if you are not planning to send or receive any files in the near future. 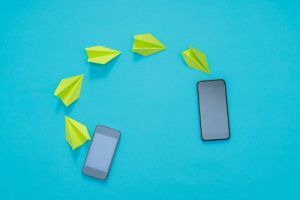 Contacts only – This setting works by limiting who you can send, and receive, files to and from – they have to be from your contact list on your phone. When you are airdropping to someone else, check what setting they have on. If it is on ‘contacts only’ and you don’t have each other’s details, it is probably best just to switch to ‘everyone’ – either that or you can exchange email and/or phone number! Everyone – This is just how it sounds. With this setting on, you can send or receive files from literally anyone (with their Bluetooth and Wi-Fi turned on). This setting is the ‘easiest’, but if you are worried about receiving a file from someone you don’t know, turn it off once you finish airdropping. Hot tip: Airdrop can also be accessed on your Mac computer. Simply open ‘Finder’ from the dock, and scroll down the left-hand side menu until you see ‘Airdrop’. Now that you’re ready to go, the actual act of ‘Airdropping’ is incredibly easy. Simply select the file that you want to send (in this case a photo) and then choose who you wish to send that photo to. Tap on their name to share your content, and wait for them to accept. Voila! Receiving a file is even easier than sending it! Simply wait to see an alert with a preview of your content, and then click ‘Accept’. If you ever receive files from someone you don’t know, the option is also there to decline the transaction. Once you click accept, you will get the content in the app it was sent from – for example, your photo will be sent to your photo library. If you are accepting a voice memo, it will show up in your voice memo app, etc. That’s it! Trust us when we say this little function is going to make sharing your life with others so much easier. Is that a good thing? You decide.